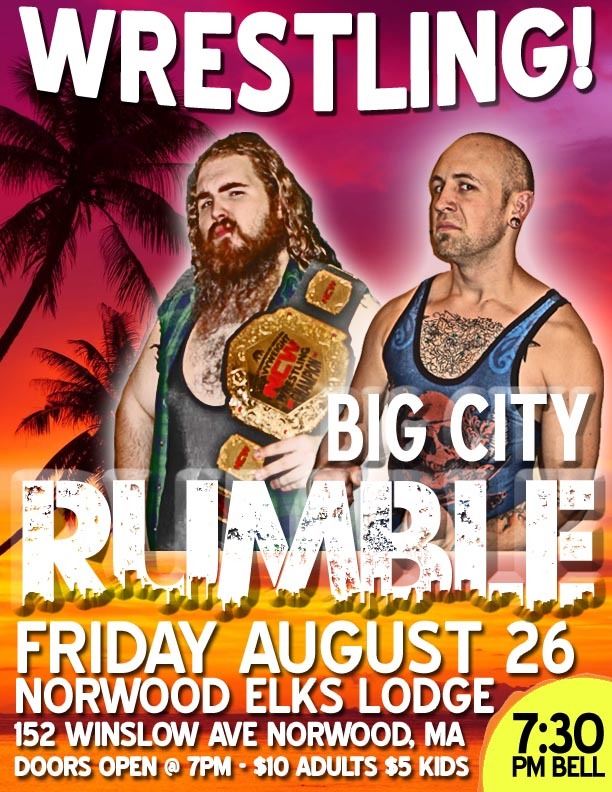 Tonight Northeast Championship Wrestling returns to the Norwood Lodge of Elks (152 Winslow Avenue) in Norwood, Massachusetts for the 2016 Big City Rumble! 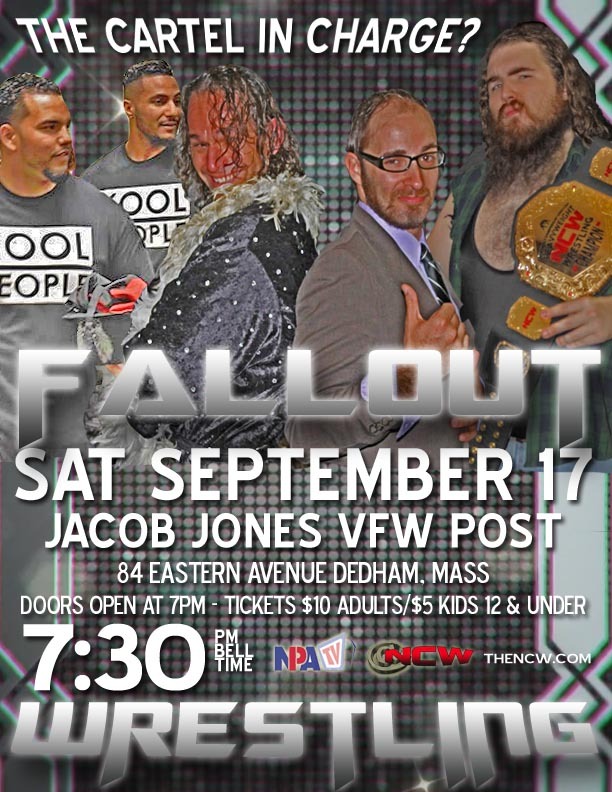 Doors open at 7pm with a 7:30 bell time. Tickets will be available at the door $10 for adults and $5 for all kids twelve and under. 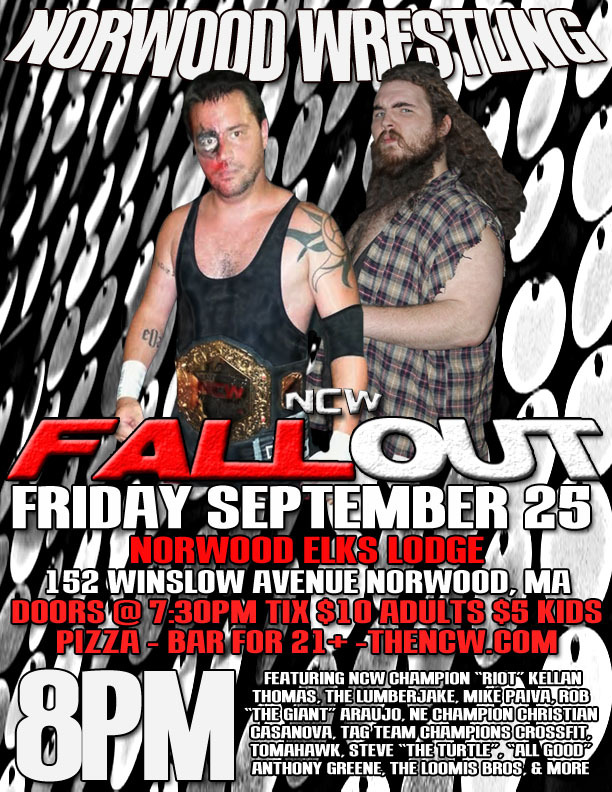 NORWOOD— On Friday night August 26th Northeast Championship Wrestling returns to the Lodge of Elks (152 Winslow Avenue) in Norwood, Massachusetts for what’s sure to be the hottest night of the summer—NCW’s 2016 Big City Rumble! Doors open at 7pm with a 7:30 start time. 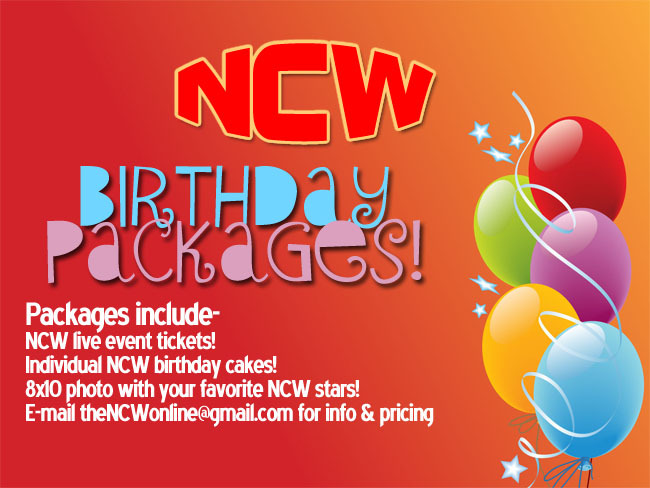 Tickets are available online at http://theNCW.com/tickets and will be on hand at the door the night of the event $10 for adults and $5 for all kids twelve and under.